Ceramic cups and bowls at Danghyra in Venice. 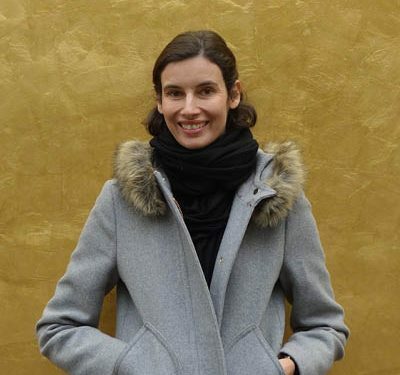 “We can’t let bad tourists take Venice from us,” the co-owner of Perla Madre Design, an exquisite glass shop and atelier in San Polo, told me on my recent trip. 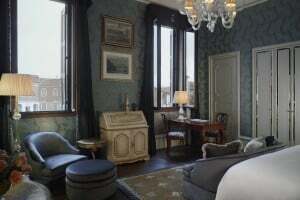 “We have to resist.” Between cheap charter flights, continuing big-boat cruise traffic and a lack of regulation, the city that John Ruskin described as “a splendour of miscellaneous spirits” does indeed appear to be in midst of a battle of its soul. What will the Venice of the future look like when, already, seventy percent of the “Murano” glassware offered in the shops around San Marco square are fake, and there’s a necessity for signs along the canals that ask people not to dive off the bridges. 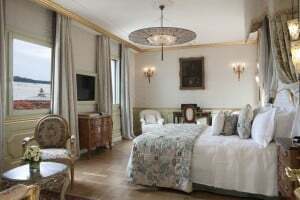 One local told me that, this past summer, a stressed-out tourist had barged into her boutique asking where the exit to Venice was—as if she had taken a wrong turn in an amusement park. And artisanal shops are what Venice excels in. 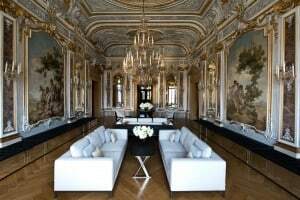 Hand-blown glass, velvety fabrics the color of the lagoon, marbled paper, butter-soft leather, papier-mâché masks—these items have a long history in Venice. In any of the city’s six sestieri (neighborhoods), you’ll find boutiques galore—and nothing beats stumbling into a sliver of a shop and meeting the designer behind the wares. Here are ten artisanal shops to seek out on your next trip. Not only will you return with original finds designed—and made—in Venice, but you will also support the businesses that exemplify the city we will want to visit for years to come. 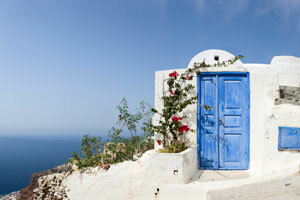 Indagare can arrange special artisan-focused and shopping tours of Venice, Murano, Burano and Torcello. 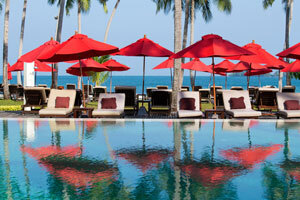 Contact our team of Trip Designers to learn more. 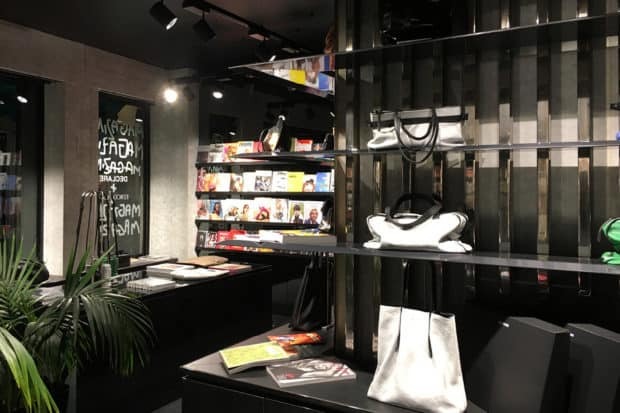 The sleek, all-black interior of this leather-goods shop in San Polo immediately stands out among the neighborhood’s more traditional boutiques. Co-founders Omar Pavanello and Emanuel Cestaro design and make exquisite bags, clutches, totes and wallets out of full-grain Tuscan leather, which they dye themselves. Lined with linen and available in a range of beautiful greens, blues and reds, these buttery-soft creations are deeply stylish and entirely made in Italy. (Note: Their new collaborations with other innovative brands now also include jewelry and eyewear.) Calle Seconda dei Saoneri 2671. 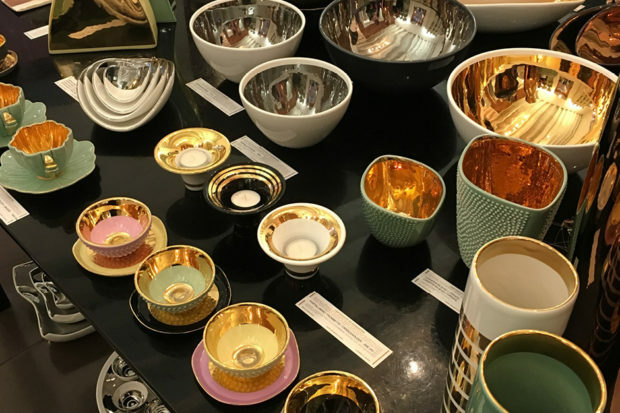 The glazed contemporary ceramics on sale at Danghyra (the nickname of the Lithuanian-born designer) are lined with a 24-karat gold glaze, giving each item a little bling. The espresso cups available in a dozen Venetian-inspired colors make for the perfect Italian gifts. A bigger commitment for your luggage, but truly gorgeous, are the vases, bowls and candle holders, some of which also come lined in platinum. 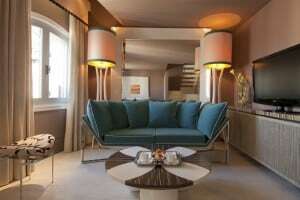 All of the items are made in the designer’s lab in the Veneto. Dorsoduro 3220. Alberto, who is often in this beautiful paper shop, is a maestro ebru, an ancient technique for producing marbled paper that the Venetian craftsman re-introduced to his city in the 1970s. 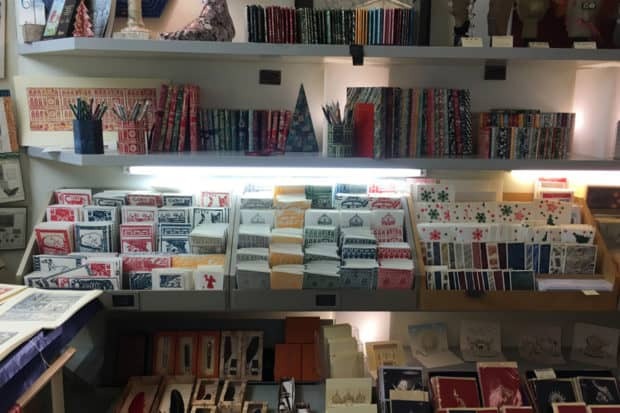 Located near the Chiesa San Stefano, this shop is where most of the designs are produced, and it is a wonderful place to stock up on cards, notebooks and wrapping paper, all in Alberto’s fantastical, colorful designs. Campo Santo Stefano 347. Senegalese-born and Paris-raised Noulaye Niang is one of the first African immigrants to have trained in Murano (“I was very patient,” he says, when asked how long it took him to be accepted into one of the island’s famously closed-off workshops). Today, in his own atelier on a peacefully scenic campo near the Arsenale, Niang makes glorious glass pieces whose style blends his Senegalese roots with traditional Venetian craftsmanship. Some of his chunky jewelry has been featured in Milan fashion shows, and his shop offers so many vibrant designs that it is nearly impossible to choose what to bring home. 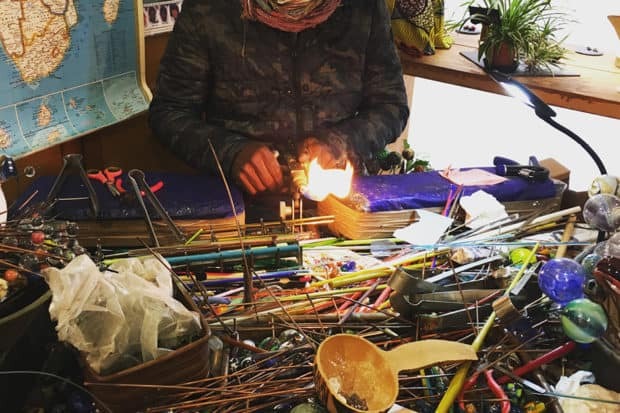 If you’re lucky, Niang, who has also opened a glass-blowing school in Senegal, will give a small demonstration, and watching this maestro at work in the colorful shop is a truly memorable, only in Venice experience. Salizada del Pignater, 3545 Castello. 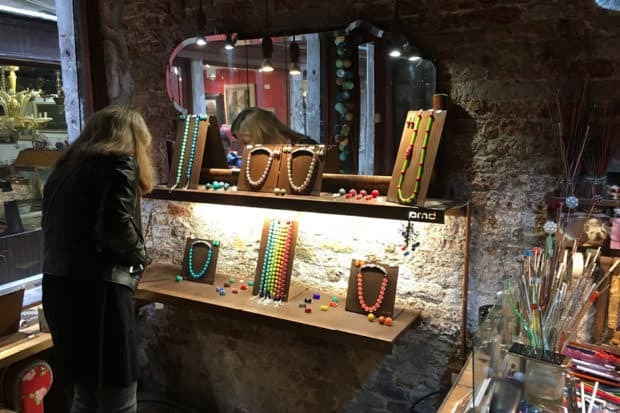 Working with transparent and opaque glass, the two craftswomen who run this charming shop create beautiful jewelry that is one-hundred-percent Venetian, but with a contemporary twist. Cased glass beading is a traditional technique in which an opaque glass bead is covered by a layer of transparent glass, the two colors luminescent and unexpected. Looks for the two-toned beads that reflect the colors of Venice: the green/blue ones that look like the Venetian laguna or mauve/purple that shimmer like antique velvet. The Perla Madre duo also host glass-making workshops for individuals or small groups. Calle delle Botteghe 3182, Dorsoduro. The geometric fashions of designers Alessandra Milan and Miriam Nonino are understated and cool, without trying too hard. Beautifully tailored, they are designed and made in the atelier behind this shop in San Polo (across the way from Declare), and all the breathable fabrics are made in Italy, certo. Calle Moro, 2659/A, San Polo. 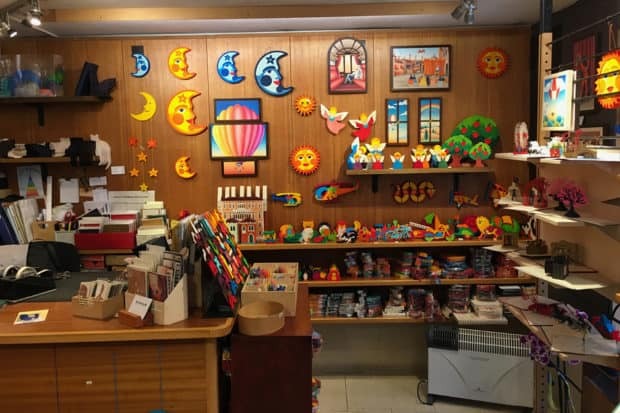 Founded in the late ‘70s by three women friends, Signor Blum sells artisanal wooden toys and decorations, many of which have a Venetian theme. Look for mobiles with gondolas, puzzles of the winged lion and wooden magnets of Carnivale masks, all in eye-popping colors. Located on scenic Campo San Barnaba, Signor Blum belongs to Do.Ve, an association of the most authentic shops, restaurants and bars in Dorsoduro. Also look for cards from Small Caps, a graphic design shop that makes gorgeous paper products. Campo San Barnaba, Dorsoduro 2840. Charming paper artisan Stefania Giannini uses paper in completely unexpected and beautiful ways, including teeny-tiny origami pieces that are then turned into jewelry. A creative force, Giannini sits at a large birch table in her shop, cutting, gluing, coloring and folding—and part of the pleasure of a visit here is watching her in action. Those chasing unique mementos should not miss this shop, which is just a few-minutes’ walk from the Indagare-Favorite restaurant Antiche Carampane. Santa Croce 2155/A. 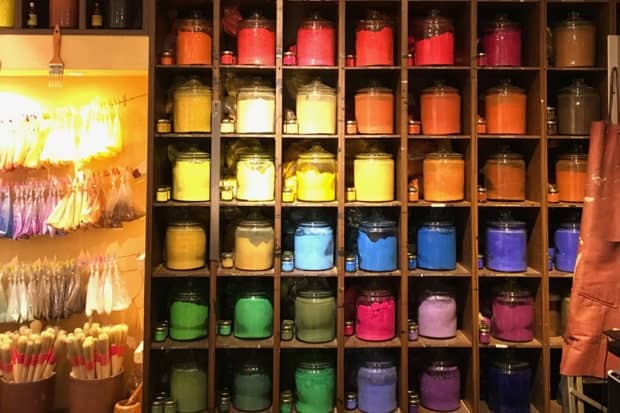 The name of this store means “rainbow” in Italian, and indeed, the items that pull you into this colorful universe are supplies for budding painters, including a wonderful wall of large glass jars containing pigments that would have made Titian, Tintoretto and Veronese happy. Smaller jars that can be purchased for €5 make cute Venetian mementos. 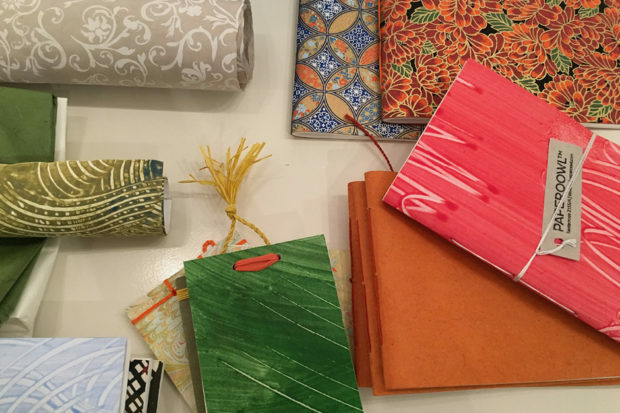 Arcobaleno also carries an eclectic mix of other Venetian finds, including Murano glass, handmade papers, brass knockers, leather-bound journals, jewelry and beautiful cards. It’s all authentic, making Arcobaleno a good one-stop shop for gifts to bring home. 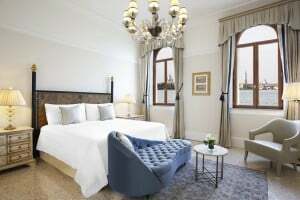 San Marco 3457. The exquisite Italian textiles and crafts on sale at this shop, on a quiet square near the Palazzo Grassi, are not made in Venice (rather, they are fashioned in mills in the Dolomites), but stylish Chiarastella Cattana has long been Venice-based herself. 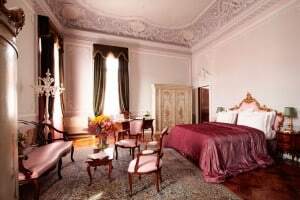 Visiting the airy, gallery-like space in a former 17th-century scuola is a pleasure in and of itself—and unlike the more delicate Venetian finds (glass, ceramics), her pillows, coverlets and linens are easy to transport home. Salizzada San Samuele, 3216.